Woot ! has a super hot deal on Canon EOS 80D w/ EF-S 18-135mm lens kit for $1,119.99. Currently lowest price online ever. Coming with 1-year Canon USA warranty. Regular price for Canon EOS 80D with 18-135mm lens is $1,799.00 at most US stores. 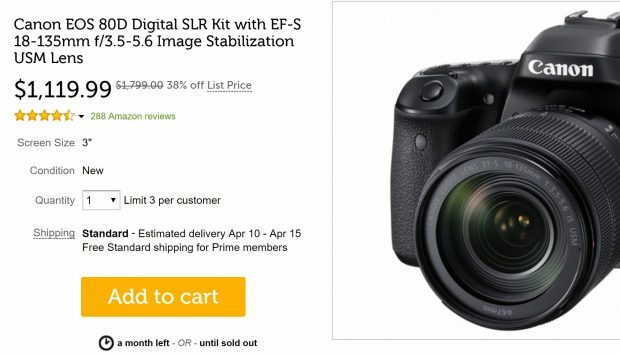 ← Hot Deal – Refurbished Canon 6D for $899 at Canon Direct Store !